The other day was DNA day, which got me thinking about family. Previously, I lived in California. My father’s side of the family settled much of California. They came up from Mexico (which as then part of Spain) in the late 1700s and founded many of the big cities. One such city is Santa Barbara. About 5 years ago, I visited there for the first time. What a lovely place! If you live in California, I highly recommend you visit. If you don’t…I still recommend you visit. They have a quaint, busy downtown area chock full of cute shops and wonderful restaurants. 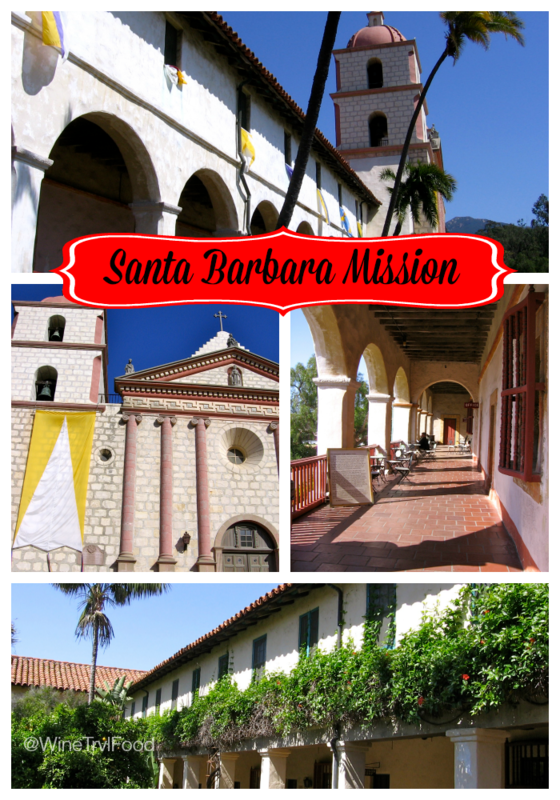 The main attraction, for me, was the Santa Barbara Mission. It was so beautiful! It wasn’t the religion so much that spoke to me as it was the history. My ancestors helped to found Mission Santa Barbara, which also helped create the city. I think one or two might be buried there. Wandering through the grounds I wondered, why did my grandfather leave this beautiful city and move to a climate slightly less Mediterranean? Heck, some people are probably saying that about me. I can just feel the warmth on my skin as I sit on that patio with a glass of wine in my hand. OK, I didn’t do that, but I’m sure it happened at Mission Santa Barbara at some point for someone in the history of the place. Apparently, at each of California’s missions the friars established gardens which today show California’s botanical history. Santa Barbara Mission is no exception. I wandered around the grounds marveling at the beauty of the plants that thrived in such a mild climate. Most of these plants were used by the inhabitants of Santa Barbara Mission to sustain life. If you have a chance to visit Santa Barbara, I highly suggested you stop in at Santa Barbara Mission and go on a tour. You’ll not only be able to see the garden, but also various rooms and artifacts used by the mission’s former occupants. This entry was posted in Travel and tagged California on April 29, 2014 by Amy Ruiz Fritz.